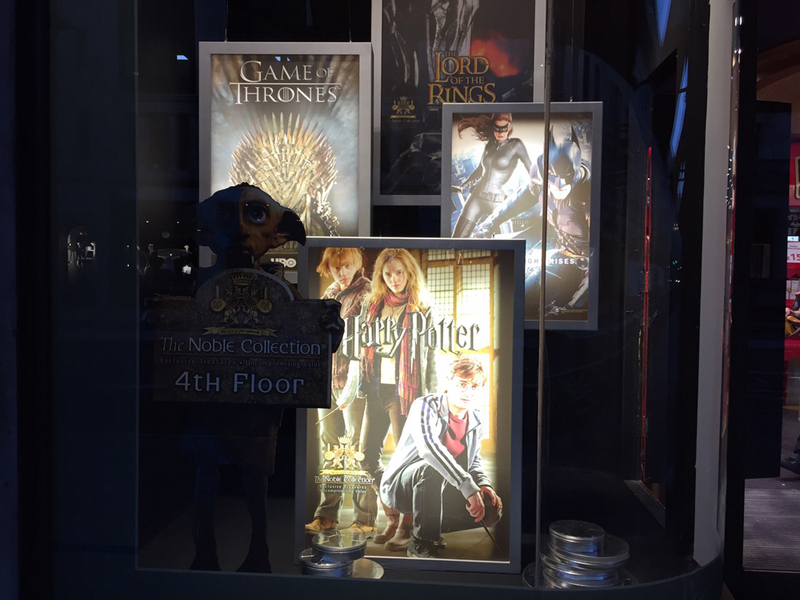 Showcasing a range of our skills, from scenic painting, electrics and lighting as well as poly and foamex carving – we produced four different window schemes to showcase the Noble movie collections available in store. 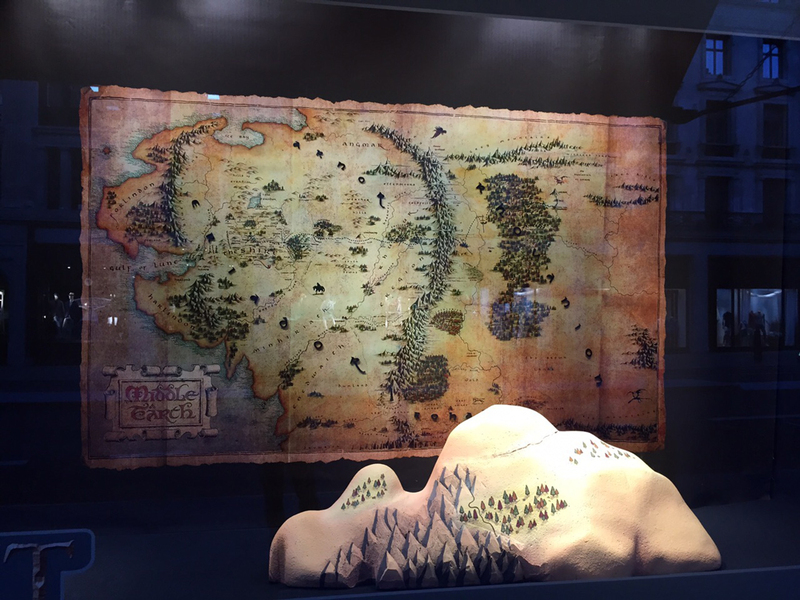 For the Hobbit - a map of Middle Earth filled the window along with product display. Hanging light boxes showcased other movies including, Lord of the Rings, Game of Thrones, and the Dark Knight. For Harry Potter, Hogwarts express carriage was also constructed from two poly carved forced perspective seats, painted and flocked in a mottled green. The carriage walls were constructed from MDF and painted to match the film reference with lights, mirrors and mesh look shelves added to finish.